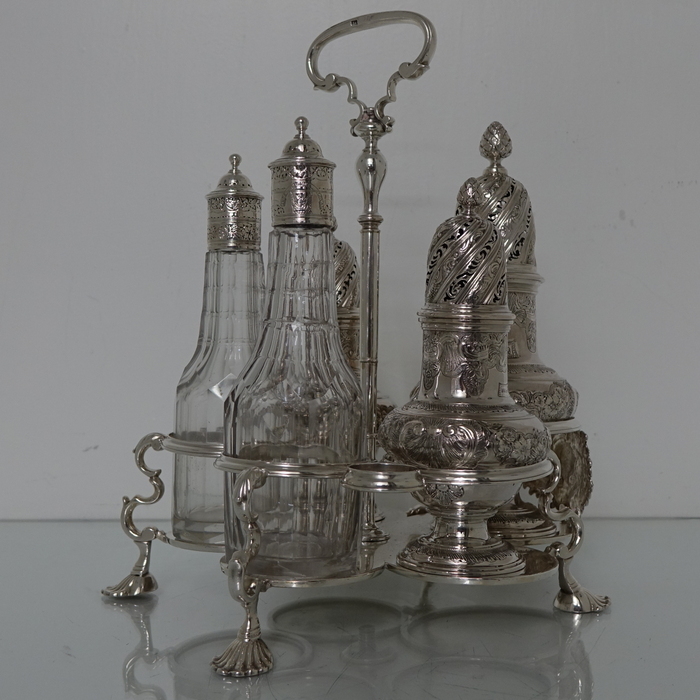 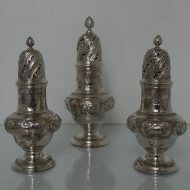 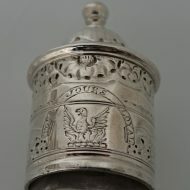 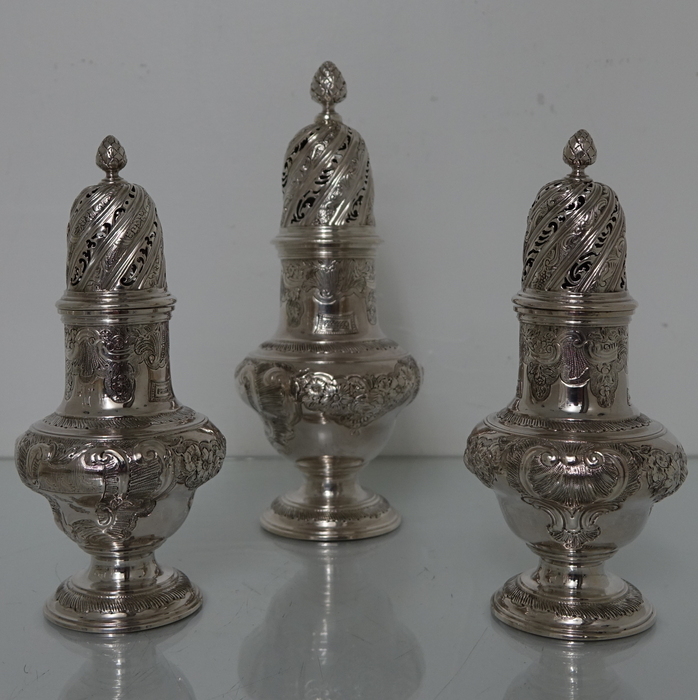 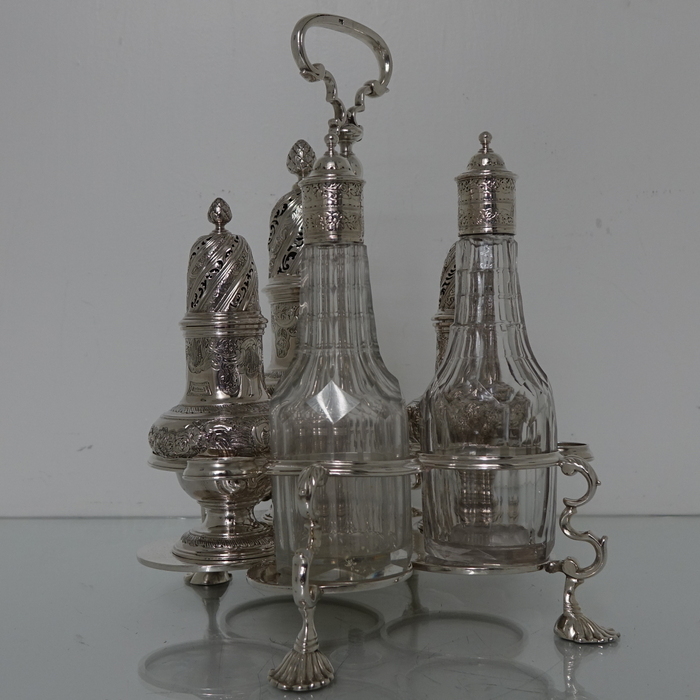 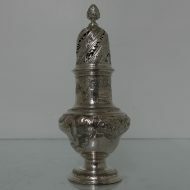 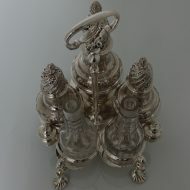 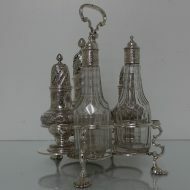 A very rare five condiment Warwick cruet, the salt, pepper and sugar caster have been elegantly flat chased for decoration. 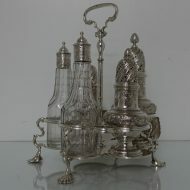 A very rare five condiment Warwick cruet, the salt, pepper and sugar caster have been elegantly flat chased for decoration. 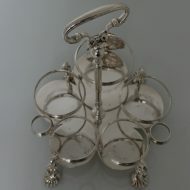 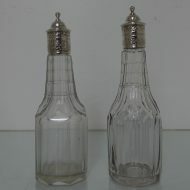 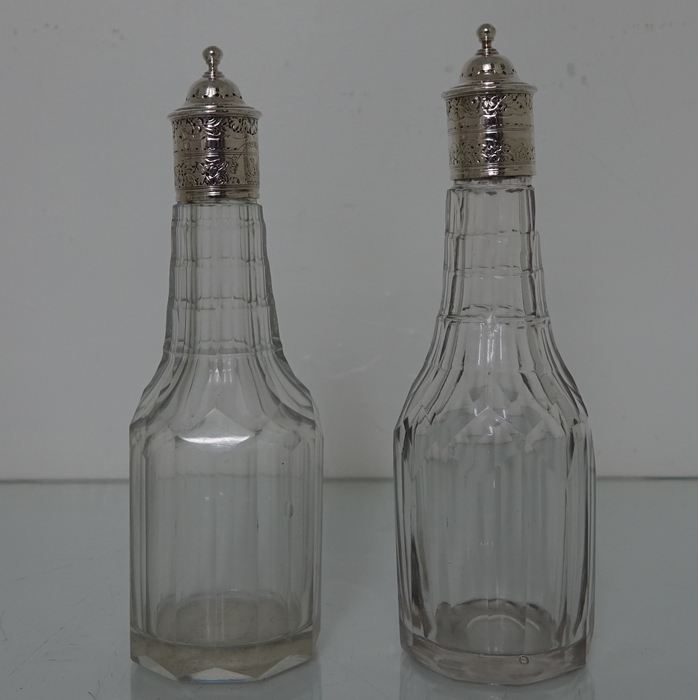 The oil and vinegar bottles have beautiful decorative contemporary glass with the detachable lids been also flat chased. 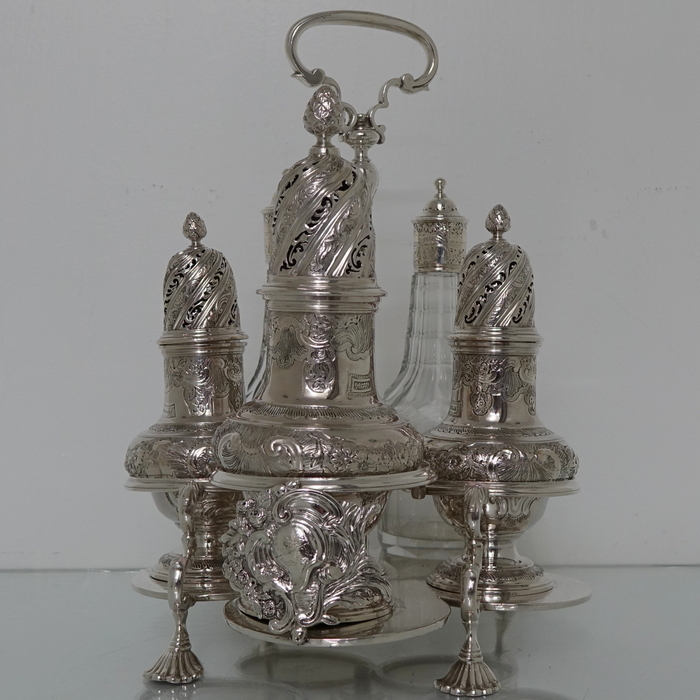 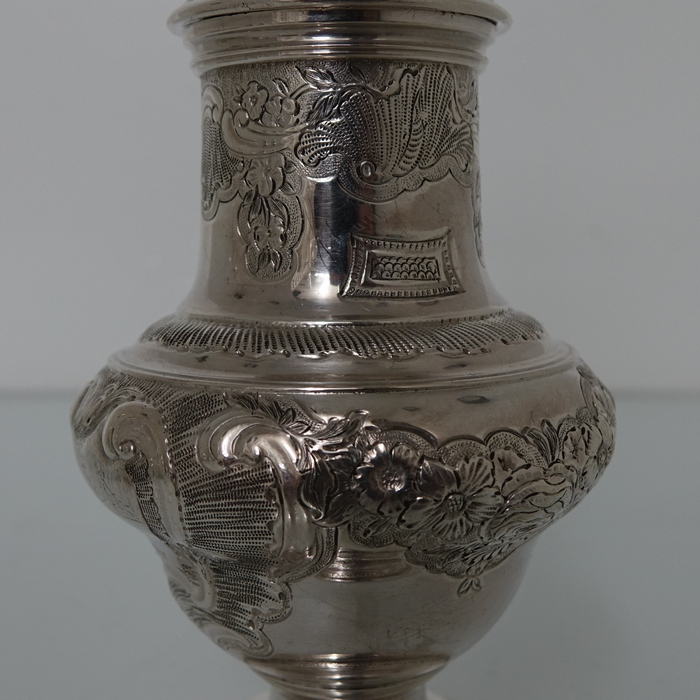 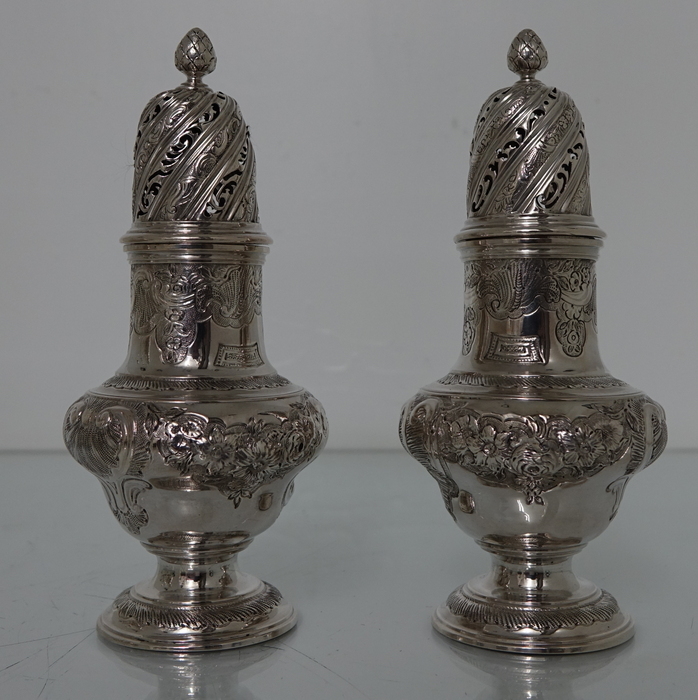 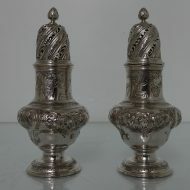 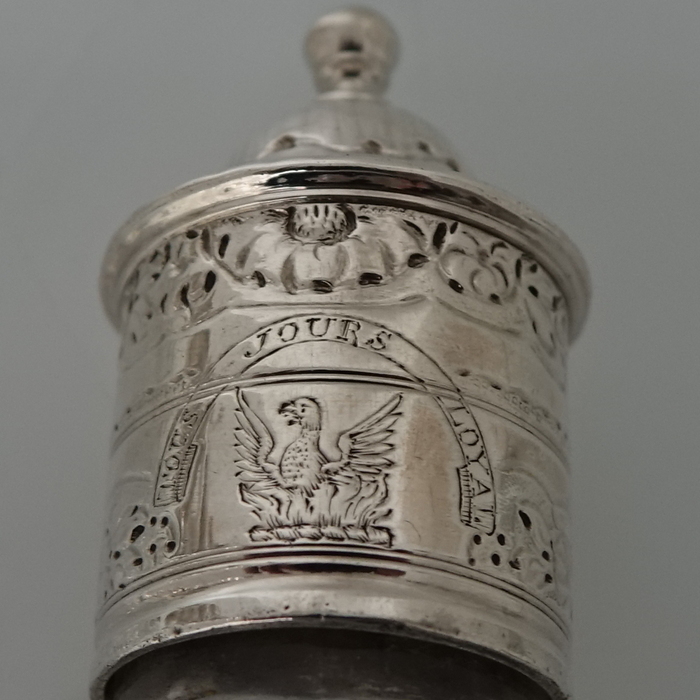 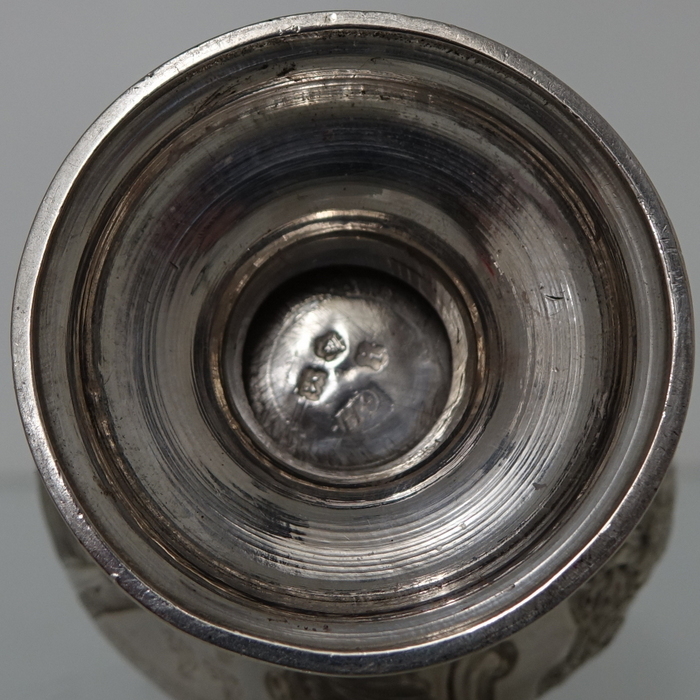 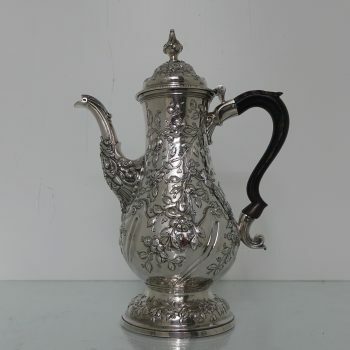 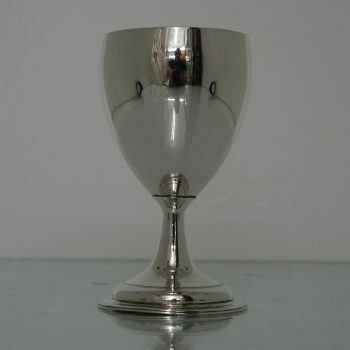 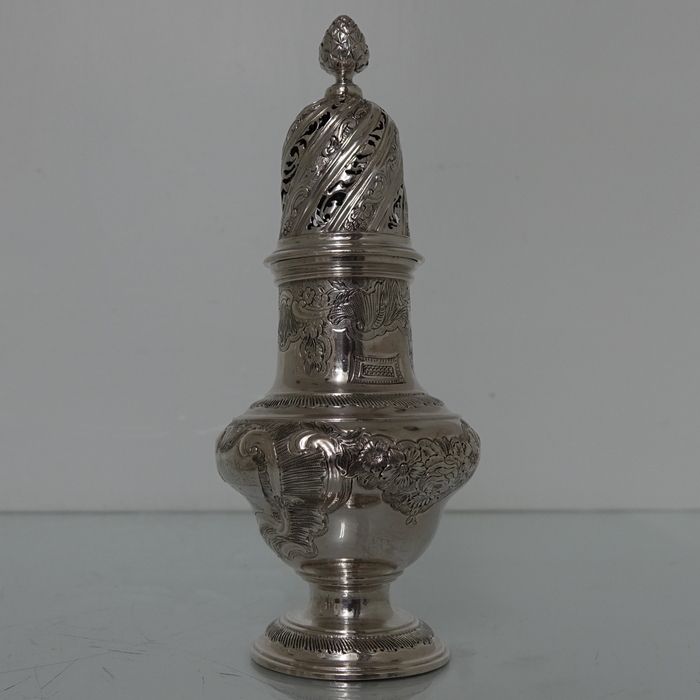 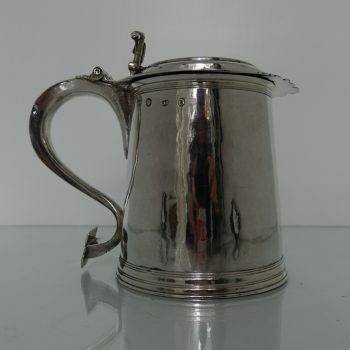 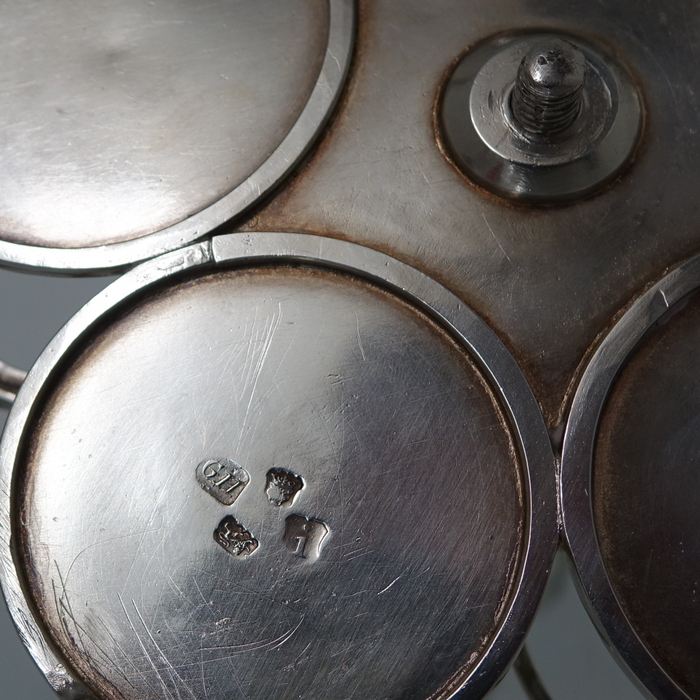 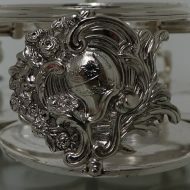 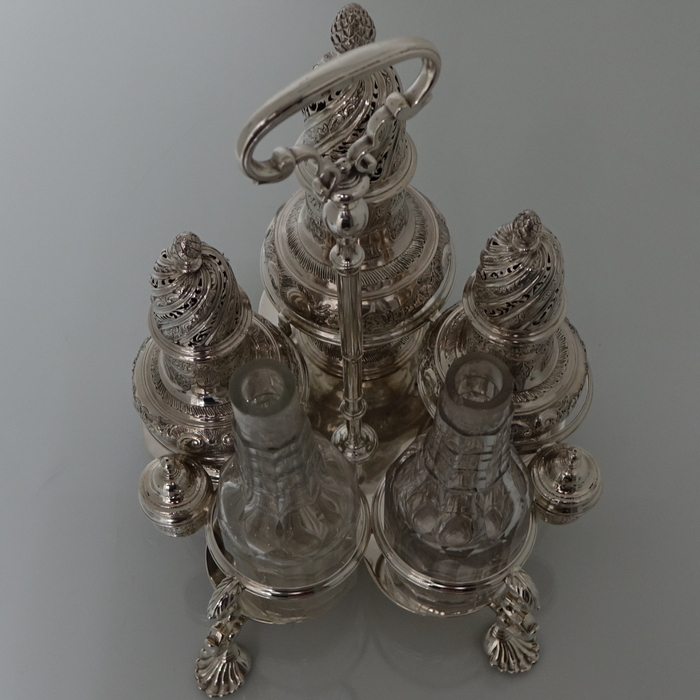 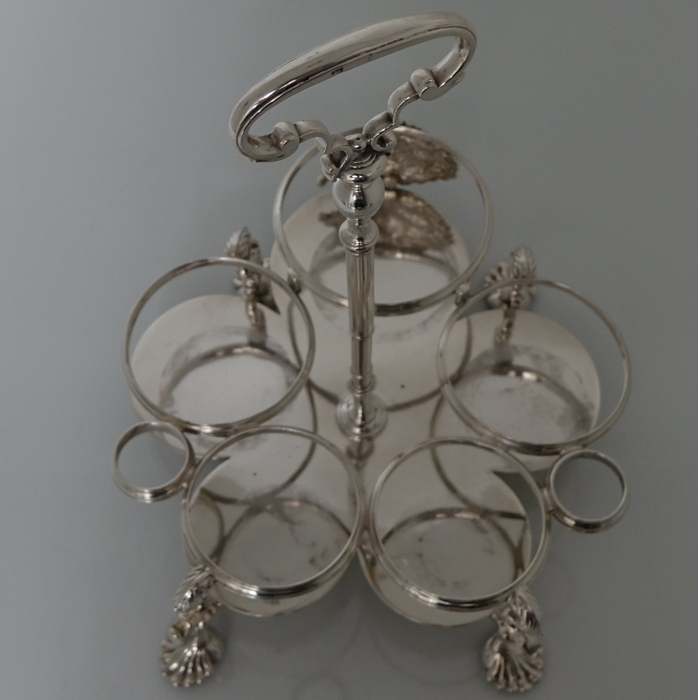 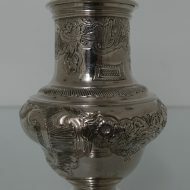 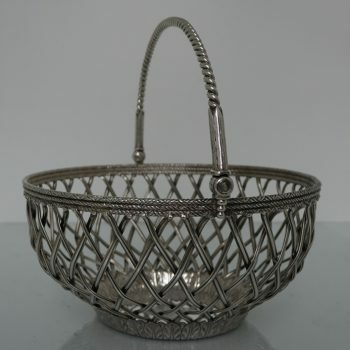 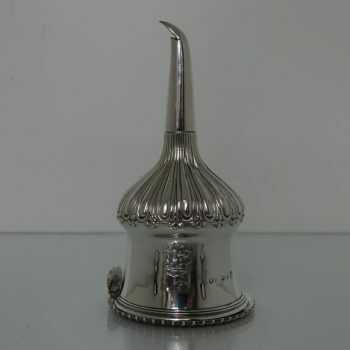 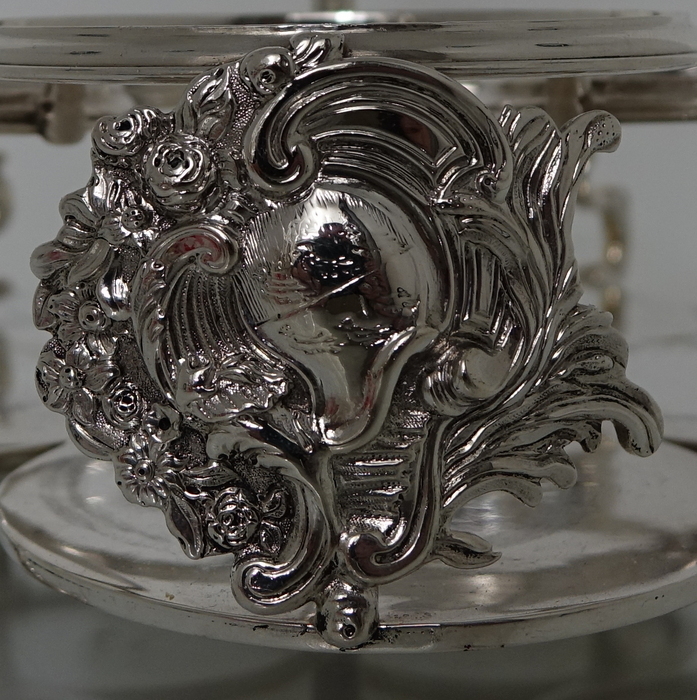 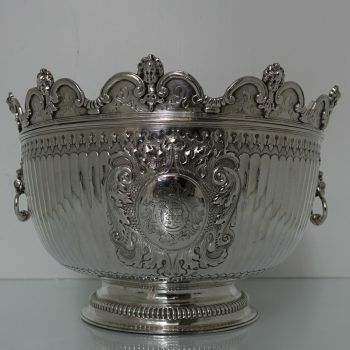 The frame of the cruet sits on three ornate hoofed feet and has a applied cartouche in which sits a stunning contemporary crest for importance. 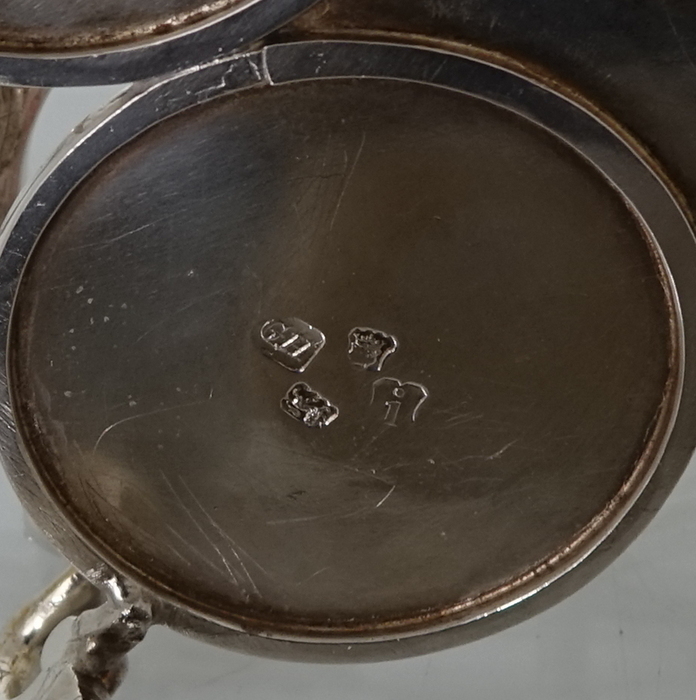 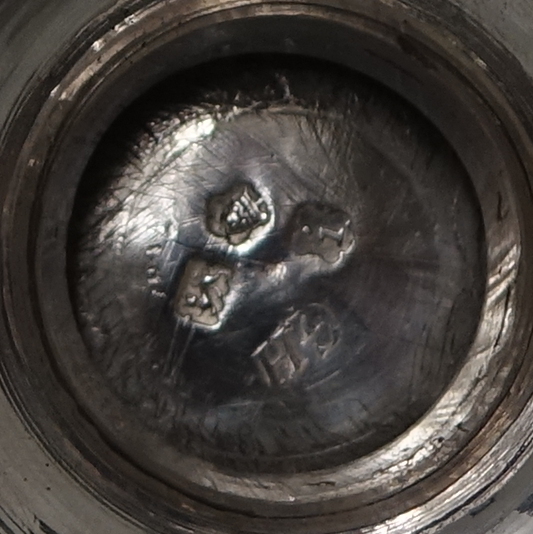 The oil and vinegar lids bare the same crest.